This is the interest group for beta testing the upcoming ORPG Pokemon Meadow. Game will include bosses, character skins, trading, economy, quests, and much more! Game will be non-profit but donations will be open to buy a better server. More servers = more players. Think of it that way. Starters are received like in Pokemon Mystery Dungeon, with a set of questions asked to begin with. 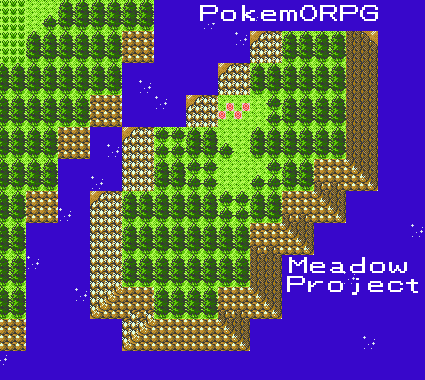 You will begin in a tutorial area where you can learn the basics of the game, and even catch a couple Pokemon.